In this committed and compassionate book, Phil Hammond - a doctor, journalist, campaigner and patient - argues for a bidet revolution in the NHS - from the bottom up, with patients leading the charge. What we can do for ourselves to live well often far outweighs what modern medicine and the NHS can do for us. And when we do need to use the NHS, getting involved, speaking up and sharing our expertise can improve not just our care, but the care of others. We won't always succeed, but we can learn from failure as we try to get the best care possible in our precious and precarious health service. 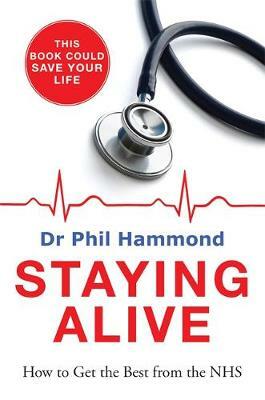 Dr Phil shares his own experiences of working in and investigating the NHS for 30 years, and combines it with the testimony and tactics of inspirational patients and carers. Some have survived and thrived in the NHS, some are planning a gentle death at home, and some have suffered greatly but are determined to improve the NHS so others don't have to.